Free 24 hour rush service...order today, ships in 24 hours! 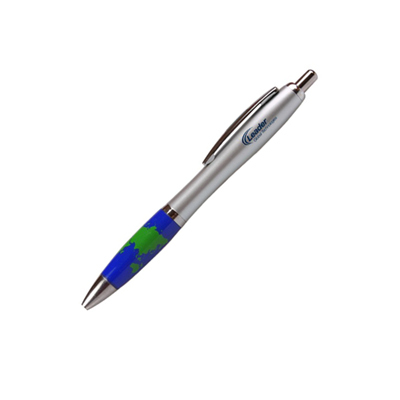 Promotional Cruze Pens are perfect for creating a lasting impression on potential customers. 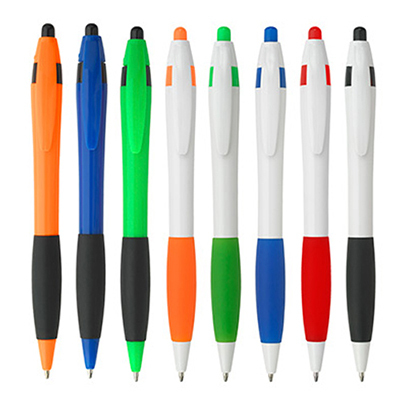 Each pen features a unique design and is available in several color options. 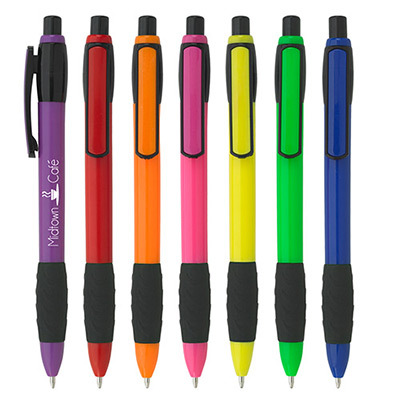 It comes with a rubber grip for writing comfort and control. It works on plunger-action mechanism and can be imprinted with a logo or message. 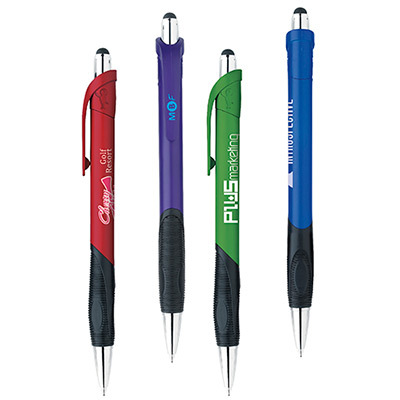 Hand them out at schools, offices, trade shows or conferences to make your brand more memorable! 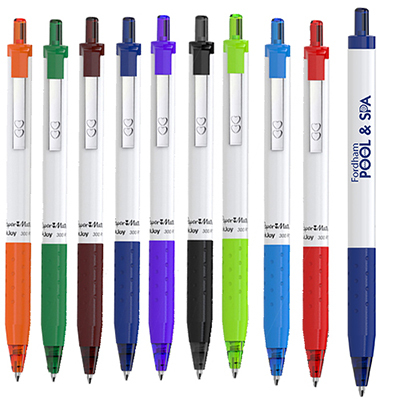 A well-constructed and inexpensive pen!